If you own a significant amount of precious metals, you should seriously consider a secure storage option for your metals. We’ve known all too many people who have lost their fortune because they didn’t choose a safe location for their assets. Fortunately, at ASI, you have plenty of choices if or when you decide to secure your metals outside your home. ASI has developed numerous relationships with a wide variety of storage facilities worldwide in which you can store your precious metals, giving us an edge against many of our competitors. These relationships make it possible to offer you the freedom to choose the ideal location for your metals based on the features that matter most to you. With that said, below is a complete list of storage facilities—both domestic and abroad—with whom we have relationships. ASI Precious Metals Direct (ASIPMDirect) enables direct physical precious metals ownership for gold, silver, platinum, and palladium, meaning investors know exactly what and how much metal they own. Account holders enjoy allocated, whole-bar ownership, guaranteeing that there is no fractional or shared ownership. Furthermore, ASIPMDirect partners with non-bank vaulting facilities so they are not incentivized to hypothecate or lend against client metal. In effect, investors enjoy the benefit of reduced counterparty or default risk. Some of the benefits of ASIPMDirect include full replacement insurance for your precious metals, third-party physical bar audits, physical delivery upon request, the same low storage rates for your metal regardless of your storage location (0.7% per year on gold, platinum, and palladium, and 0.8% per year on silver), and geographical diversification in six locations across the globe. Investors can store their precious metals domestically in Salt Lake City and New York City, or internationally in London, Zurich, Singapore, and Sydney. 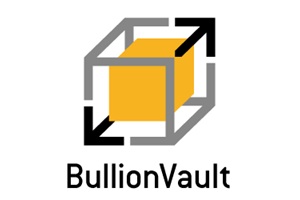 The largest online precious metals market, BullionVault now cares for over $2 billion worth of property belonging to investors from 175 countries. 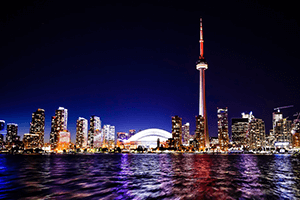 In gold, it outweighs all but the four largest ETFs listed in North America, giving you direct ownership of physical bullion in your choice of London, New York City, Singapore, Toronto, or Zurich. Full allocation is proven in public each day, verifying all client holdings against the independent vault operators’ bar lists. Users buy and sell as little as 1 gram at a time of metal held in securely vaulted Good Delivery bars. This guarantees the quality of your bullion, and it eliminates the fabrication costs carried by coins or small bars (unless and until you opt to take possession). Using your PC or smartphone, you can set your own bid or offer as you choose, with full control 24/7. Dealing fees start at 0.5% and fall quickly for larger investors. Insured gold storage costs 0.01% per month ($4 minimum). Simple account set-up takes just a few minutes, and BullionVault prides itself on great customer service. Live phone or online support is open until 3:30 PM Eastern time each weekday. A full member of the London Bullion Market Association (LBMA) and partner of the World Platinum Investment Council, BullionVault has received two Awards for Enterprise from Queen Elizabeth. Global Gold offers 100% allocated, non-banking storage for gold, silver, platinum, and palladium from their secure vaults in Switzerland, as well as other international locations. They can purchase bullion bars and coins of gold, silver, platinum, and palladium for their clients, but an in-kind transfer of your existing metals can also be arranged. Among their key features, Global Gold's storage is completely removed from the banking system, with no dependence on functioning stock exchanges or banks. Investors enjoy 100% direct and unencumbered ownership, meaning precious metals are owned directly with no counterparty risk or exposure to creditor obligations. 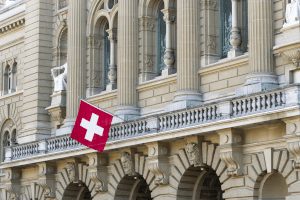 Although Switzerland carries a 7.7% Value-Added Tax (VAT) on all “white” metals, when purchased and stored with Global Gold in Switzerland, there is no VAT on the purchase of these metals. All metals stored with Global Gold are insured for full value against fire, water, fraud, theft, and burglary. Internal audits are performed monthly, and the main audit is completed by one of the “Big Four” international auditing companies. Bars and coins stored at Global Gold are sourced from internationally-recognized mints, refineries, and wholesalers, guaranteeing their quality and authenticity. Furthermore, the pricing offered on purchases, sales, and storage are highly competitive with any comparable allocated solution, and metals can be delivered, picked up, and even sold promptly in Switzerland or internationally—and there are no fabrication-related delays or costs. Global Gold offers high-security storage by recognized and specialized companies that run the state-of-the-art security infrastructures. The facility does not engage in cash settlement clauses or other provisions that restrict you from prompt delivery or sales of your metals. Global Gold is a 100% Swiss company under Swiss law and jurisdiction, where great respect is paid to personal property. 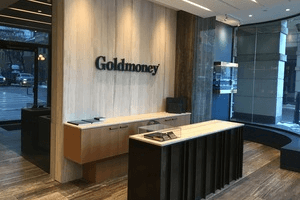 Goldmoney is the world’s largest precious metals-backed payment and savings network, safeguarding nearly $2 billion in assets for more than 1.5 million clients across 150 countries. Goldmoney’s proprietary online platform enables clients to buy, earn, or spend gold, silver, platinum, palladium, digital bearer-assets, and nine national currencies. Clients may use a variety of funding methods to purchase bullion including bank wires, credit cards, PayPal, AliPay, WeChat Pay, or even cryptocurrency. All bullion assets are fully reserved and allocated in high-security and insured vaults across seven countries (Canada, Hong Kong, Singapore, Switzerland, the U.S., the U.K., and the UAE). All vaults are operated by leading private vault operators, including VIA MAT, Brink’s, G4S, Malca-Amit, Rhenus Logistics, and the Royal Canadian Mint. Goldmoney offers a wide range of tools that enable clients to fully utilize their precious metal savings. At any time, clients may easily sell their precious metals, redeeming funds to their bank accounts, in physical form via SchiffGold, or to a Goldmoney Prepaid Card®. The prepaid card allows users to directly spend their gold savings with ease in U.S. dollars, Great British pounds, euros, or Swiss francs. Clients can also send and receive instant precious metal payments to and from users as well as businesses that accept Goldmoney without charge. Goldmoney presents economical storage fees, ranging from 0.01% to 0.085% per month depending on the precious metal. To reward clients who transact more frequently through their Goldmoney Holdings, Goldmoney offers a storage credit program to help clients offset their monthly storage fees through buy and sell orders. As a publicly listed and regulated company, Goldmoney offers the highest level of security and safety to clients. In addition to their own vault audits, their vault providers audit clients’ allocated holdings and reconcile this with Goldmoney daily. Goldmoney is also audited by KPMG quarterly. International Depository Services (IDS) Group is the largest privately held U.S.-based precious metals storage and logistics solution for the bullion market. IDS Group offers segregated, all-risk insured storage and distribution services for institutional investors, IRA custodians, sovereign mints, bullion banks, wealth managers, and private individuals. With three full-service locations in Texas, Delaware, and Toronto, IDS’ parent company has vaulting operations that boast state-of-the-art security, privacy, and efficiency. IDS’ parent company has expertise in managing bullion inventory that has been developed over decades (since 1976). The company now manages inventory in over 20 worldwide locations. Each IDS depository location offers best practices and security procedures in precious metals storage and distribution. IDS Group also has many logistics partnerships in place, offering storage in Singapore, the Cayman Islands, New Zealand, Switzerland, and many others. IDS Group’s proprietary and secure VaultDirect™ online portal allows clients to access their holdings, manage transfers, direct shipments, view itemized and custom reporting, and otherwise manage their stored assets at their convenience. IDS Group depositories are LBMA associates, and IDS Delaware is a COMEX and ICE approved location for all four of the precious metals futures markets. The New Zealand Vault is a privately-owned precious metals storage specialist with state-of-the-art facilities, including a large bullion depository located in downtown Wellington. The bullion depository has a unique offering that allows clients to store their gold and platinum bullion in high-grade safes that sit within the depository. Silver will be held in pallets or cages also within the depository. 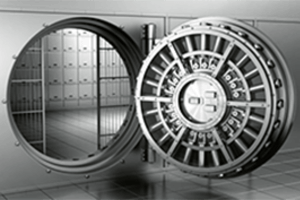 The depository itself is only opened when the New Zealand Vault is depositing, withdrawing, or auditing bullion at the request of a client. For those bullion investors looking for geographic spread and seeking bullion storage in a very safe and remote location far from the world’s troubled spots, the New Zealand Vault offers the ultimate solution. New Zealand is not only a democratic and politically stable country, but it’s also a country that is largely independent of major powers or influences and therefore will be less likely to be affected by U.S. or European Governments’ responses to economic turmoil. Our geographic distance from the U.S. further strengthens this benefit. All bullion is insured and fully allocated and segregated. In addition, there is no sales tax (GST) payable on precious metals that meet purity standards of a fineness of not less than 99.5% for gold, not less than 99.9% for silver, and not less than 99.0% for platinum. The New Zealand Vault storage service ensures that clients retain control of access to the bullion held in the bullion depository through an independent auditor who will act on behalf of the client for all deposits, withdrawals, and audits required. 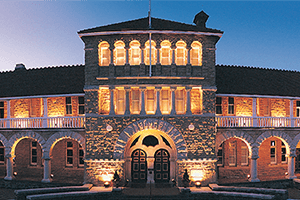 The Perth Mint offers the world’s only government-guaranteed precious metals investment and storage solutions. This exclusive backing comes with the added surety that every ounce of gold, silver, and platinum purchased is 100% backed by physical metal, making The Perth Mint a preferred trader and supplier of precious metals among wealth funds, central banks, superannuation funds, and individuals. The Perth Mint offers investors two premier investment solutions from which to choose for managing and storing precious metals, each providing the assurance that your assets are secured in the most extensive network of central bank grade vaults in the Southern Hemisphere—and in the geopolitically safe location of Western Australia. Investors have the flexibility to take delivery of their precious metals upon request, and the Mint presents an extensive range of bullion bars and coins from which clients may choose to redeem their investment. The Perth Mint has been safeguarding the wealth of investors for 30 years, manages approximately $3 billion worth of precious metals for some 40,000 clients in 130 countries, and boasts complete transaction confidentiality and secure administration and trading procedures. Strategic Wealth Preservation (SWP) is a secure storage provider headquartered in the Cayman Islands that specializes in the acquisition and secure storage of precious metals for individuals, companies, trusts, and wealth management professionals on behalf of their clients. They hold the distinction of providing offshore storage for precious metals held within self-directed Individual Retirement Accounts (IRAs). SWP is the closest offshore storage facility to the U.S. market (3 hours by plane from New York City, 2.5 hours from Houston, and 1 hour from Miami) and is located in a politically and economically stable jurisdiction. All client holdings stored at SWP are 100% allocated, segregated, and insured, and gold and silver are free of Value Added Taxes (VATs) and import tariffs in the Cayman Islands. There is also no sales tax on storage, and client visitations are allowed and encouraged. SWP is a non-financial institution that is completely independent from banks and the government. Moreover, SWP has no wealth reporting requirements to either local or foreign governments or tax authorities. Client holdings are audited annually by an independent third party, with audit statements provided to the client by SWP. 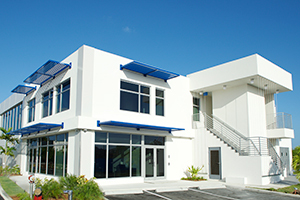 Furthermore, the facility boasts a state-of-the-art, Category 5 Hurricane-rated, and Class III UL-rated vault, as well as storage rates that are competitive with the U.S. domestic market. SWP accepts existing holdings and can assist with the logistics for transfers from other facilities. Clients can rest assured with the freedom to liquidate or take delivery of their holdings at any time. Transcontinental Depository Services (TDS), LLC is a state-of-the-art depository that provides clients transparency, accessibility, insurance, and security for their precious metals investment. TDS has a number of locations across the world, including the U.S., Canada, Switzerland, and Singapore. The U.S. depository is conveniently located in Las Vegas, Nevada, on the TSA-protected grounds of McCarran International Airport. Las Vegas’ consistent weather provides limited business disruptions, and McCarran’s advanced security is one of the leaders in domestic and international aviation. TDS's parent company is a publicly-traded company on the NASDAQ Global Select Market, with a global reach that generates over $6 billion in revenue annually. Regardless of your storage preferences and what features are most important to you, ASI has an option that best suits your needs—and is sure to keep your precious metals safe! 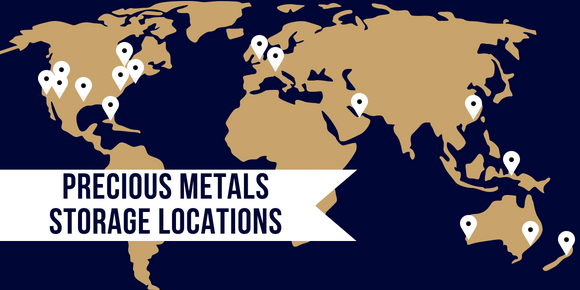 Whether you choose to store your metals in the U.S. or one of our many international facilities, we know you’ll be pleased. For more information about opening a storage account with ASI and one of our partner facilities, please call us at 800-831-0007 or email us.